English: Yellow-naped yuhina, yellow-collared ixulus; French: Yuhina a cou roux; German: Gelbnackenyuhina. 5 in (13 cm). 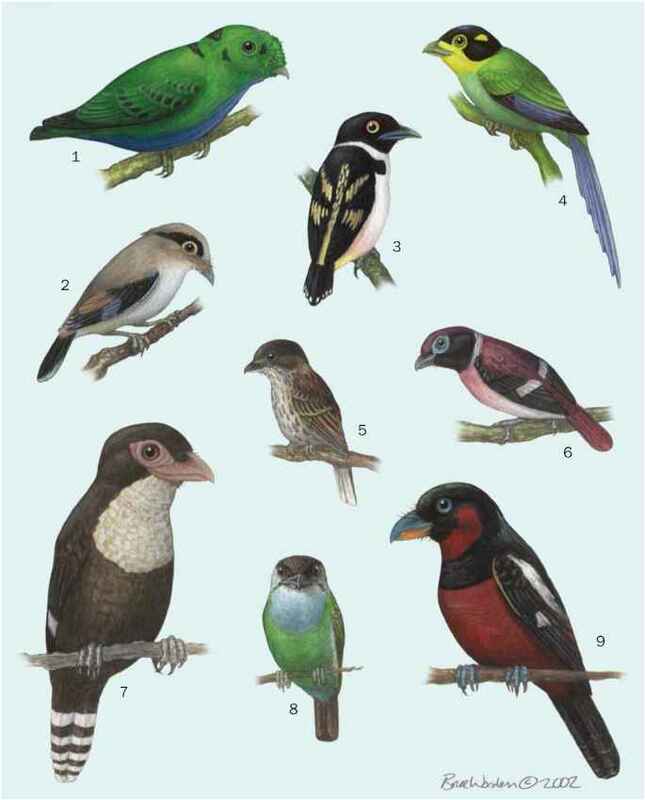 Like other nine members of the genus, a compact, quietly colored bird with small, pointed bill and short, but well-defined, crest. Distinguished by combination of black malar stripe ("moustache") and white streaking on brown flanks. Wings, mantle, and tail dark brown. Chest and throat white. Back of head gray, bordered by orange-brown, then white collars. 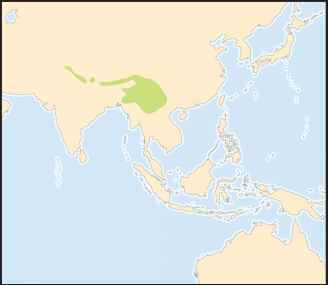 The length of the Himalayas, western China, Myanmar, and northern Indochina. Montane evergreen and deciduous forests. Usually in large, noisy mixed-species flocks, with birds of similar size. Altitudinal migrant, moving downhill in winter. Continuously foraging in interspecies groups for insects, berries, and nectar. Monogamous, pairs become territorial during breeding season. Bowl-shaped nest of fine plant materials tied on to branches of shrubs and climbing plants. Two to three speckled eggs, incubated by both male and female.